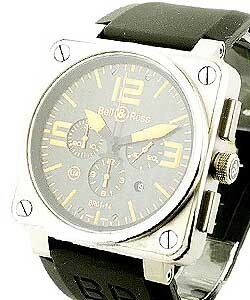 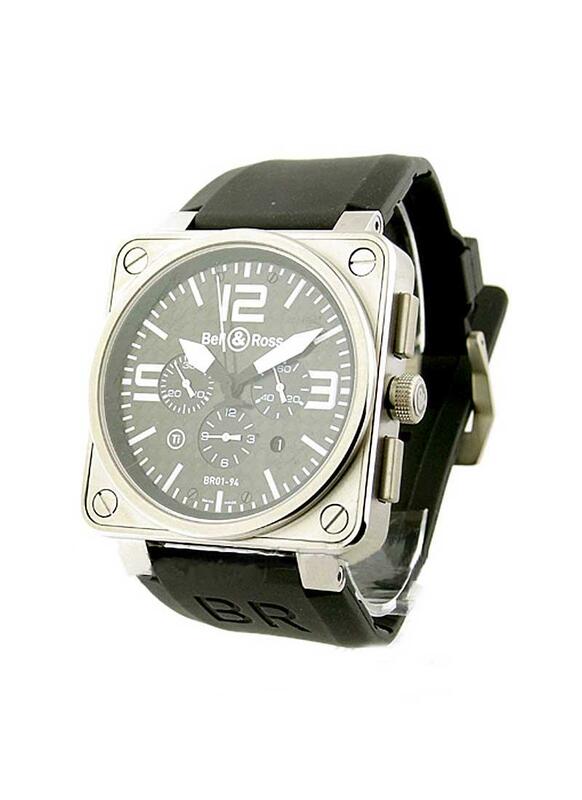 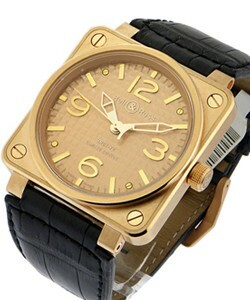 This watch is also known as: BR01-94-TI-PRO-BL , BR01-94Titanium , BR01-94ChronographTitaniumBlack . 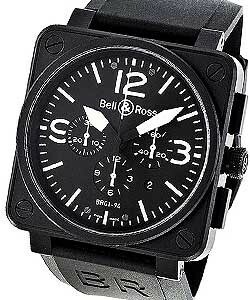 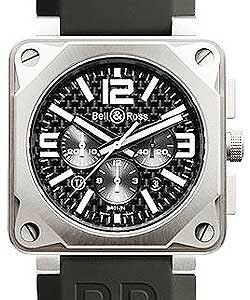 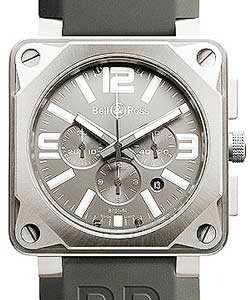 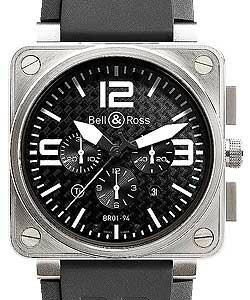 Men's automatic chronograph from the Bell & Ross Instrument BR-01-94 Series features distinctive Bell & Ross design inspired by classic aircraft instrument clusters including an austere black dial with large, highly legible and luminous numbers and markers set into a square 46 millimeter stainless steel case attached to a black leather strap. 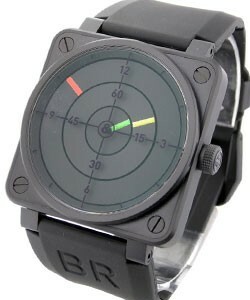 The watch also includes an additional black, nylon fabric strap with a changing tool. 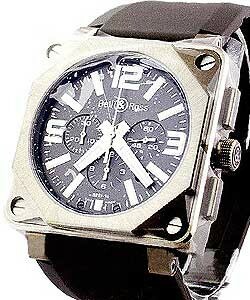 In addition, the crystal is sapphire with an anti-reflection treatment.